Robert Bosch Corporation was created in 1886 and has grown in a globalized company that offers a wide variety of products in numerous industries. With an innovative approach and product diversification, the company has annually been able to report multi-billion dollar profits. 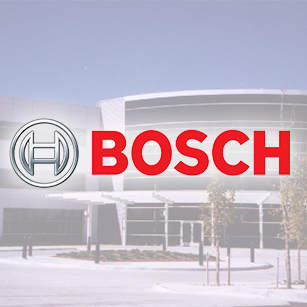 • Aesthetics: The design team sought to project an image that reflected Bosch’s prominence as a global producer. To display this image, DAI created a contemporary interior look coupled with modern technologies. • Seating: DAI creatively designed the conference room to accommodate 70 people in both auditorium and conference style seating. This versatility allows Bosch to change the feel of the room without having to make any building modifications. • Visuals: To further display an image of elegance, DAI incorporated a step-soffit ceiling and supplied the conference room with a hidden projector area that eliminates the messy visuals usually associated with wired electronics. • Advanced Technology: The design team developed a programmable lighting system to provide users the ability to set various moods with a touch screen system. • Structural Environment: The pre-existing building columns created barriers within the conference room space so DAI critically analyzed the structural options and used the limitations as an advantage to design an “L-shaped” conference room that accounts for versatility and comfort. • Adaptable Acoustics: The conference room is acoustically treated for privacy and its adaptable design allows for crystal clear sound regardless of room occupancy. DAI renovated a 5,000 sq.ft. floor into an HR area and conference suite complete with the latest technological innovations and luxury design accommodations. Alpine is an industry leader in creating high performance electronics, particularly for motorized vehicles. 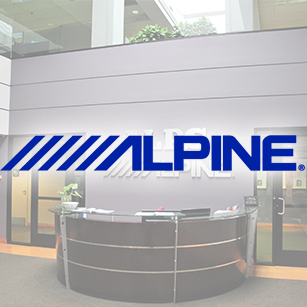 To sustain this excellence, Alpine relies on top-tier research and development facilities. • Quality: The listening room, designed and built by DAI, has become a showpiece for Alpine to test and demonstrate their high-quality audio equipment. • Customization: Customized features to meet stringent noise reduction value requirements include a unique three-tiered ceiling, sound-rated door, and sandwich-styled walls. • Functionality: All rooms were designed and built to maximize researchers’ ability to conduct studies and create the highest quality products. • Safety: All delicate testing equipment for the semi-anechoic testing chamber was transferred quickly and carefully in perfect condition. • Sound Studio: Providing a room with acute acoustics meant designing a unique sound studio with no previous template to work from. • Safe Transportation: DAI efficiently transferred all highly fragile, technological equipment safely. • Precise Creation: To ensure sound standards met the extraordinarily high criteria, the room was precisely constructed to allow for a very specific noise reduction value. • Conducive Atmosphere: Lighting and room layout create the ability to adapt the sound studio’s atmosphere based upon the audio test being conducted. Through innovative, customized designs, DAI created a premium research and development space that includes a custom built sound studio. This space will allow the client to continue to offer customers the best possible product for years to come. Schenck Pegasus focuses on offering clients the ability to ensure safe and functional design through the measurement of balance. The company has been a leader in balance technology since the early 20th century. • Luxury: DAI designed a luxurious atmosphere for the company facility by creating a brand new façade and lobby for visitors to enjoy. • Comfort: New rooftop and interior alterations allow for a more comfortable environment for employees and visitors through precision temperature control. • Aesthetics: Changes to the visitor’s entrance, lobby, and façade create a visually appealing impression on new and long-time customers alike. • Turnkey: DAI designed and constructed the modifications for the client to be able to use immediately upon completion. • Structural Environment: The scope included the replacement of a load-bearing, exterior wall. DAI’s proficiency allowed for the seamless renovation of the structurally crucial wall. • Visual Appearance: DAI designed and built an aesthetically pleasing façade to be the focal point of the exterior. • New Environment: To ensure maximum comfort, DAI designed a more efficient heating and ventilation system. 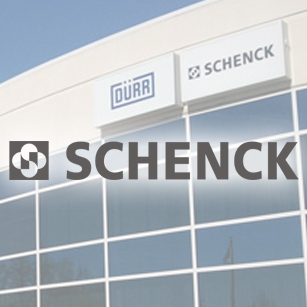 DAI designed and built the lobby area of the Schneck Pegasus facility. The project was completed on time and created on a turn-key basis to allow the client instant use. 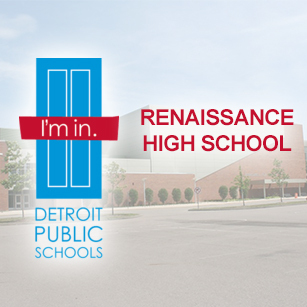 Renaissance High School is among the best high schools in the Detroit area and has won numerous awards commemorating their commitment to academic excellence. The high school covers 382,000 sq.ft., houses 50 classrooms, and spans three stories. • Alternative Energy: DAI’s rain water harvesting system allows the school to gather rain water to be used for lawn irrigation and non-portable needs. Additionally, solar panels were used to generate and supply electricity throughout the campus. • Ecofriendly Design: In addition to generating annual energy savings, the high-tech alternative energy designs provide many benefits for the environment such as water conservation. • Intelligent Design: Intricate modern controls with hi-tech sensors were designed and integrated to create a comprehensive system. The advanced system is incredibly convenient and can be accessed, controlled, and troubleshot remotely. • LEED Certification: DAI obtained globally renowned silver LEED certification to signify for its role in providing an ecofriendly, energy efficient campus upgrade. • Custom Design: The uniquely designed classrooms were the first of their kind in the U.S. and are designed to supply fresh air based upon the amount of students in the classroom. This design maximizes efficiency and reduces the overall cooling load by 35%. • Fire Safety: A comprehensive fire safety system was designed to pro-actively detour the possibility of a fire, prevent the spread of fire, and protect the students and faculty. DAI designed alternative energy solutions, developed a unique HVAC system and focused on maximizing efficiency for the school. As a result, the school was able to save $750,000 in initial costs and $45,000 annually in maintenance alone. 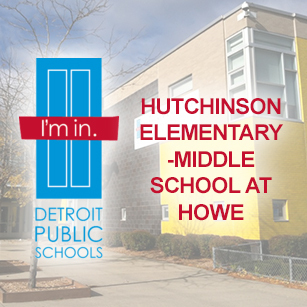 Hutchinson at Howe is fully committed to providing a nurturing environment where students can learn, grown, and prosper. The school places a strong emphasis on providing students with the tools they need to be successful in life. • Smart Design: The system was designed with a special economizer mode to utilize outdoor air during colder months as an environmentally friendly way to reduce energy costs and consumption. • Adaptability: The gymnasium, which operates as the cafeteria and auditorium, is sometimes divided into separate rooms using a built-in partition. The design team developed a special multi-zone system to allow the proper atmosphere for each divided space. • Air Quality: DAI had to create a specialized atmosphere control system with three zones for the gymnasium/cafeteria/auditorium area. The system is designed to maintain the finest possible air quality and ensure coziness no matter the large room’s use. • Heated Floors: To account for the kindergarteners who are often on the floor for story and play time, DAI developed a heating system under the floors. The system ensures the floors are a comfortable temperature during the cold winter months. • Additional Scope: Though DAI was not hired for plumbing design, it was discovered that the facility did not have adequate water pressure and DAI was asked to develop a solution. The result was a specialized water enhancing system which allows proper water flow throughout the school. DAI used outside the box thinking to create practical designs specifically suited for the school. These designs have ensured that the children and faculty are able to interact in a safe, comfortable environment. 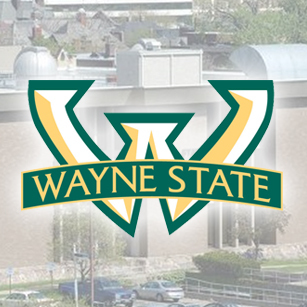 Wayne State University (WSU) is a nationally documented research institution which was founded in 1868. WSU is one of the 100 largest universities in the United States, houses more than 100 education and research buildings, and spans over 200 acres. • Analyzation: During the preliminary design phase, DAI executed a timely and thorough critical analysis of the physics building’s roof and used creative thinking to develop possible solutions for the discovered and reported problems. • Coordination: DAI worked with the building owners by regularly maintaining contact with them and incorporating their input into design solutions. • Ecofriendly: After assessing all the gathered information, DAI chose a coal tar pitch roofing system. This system is highly durable and has self-heating abilities which conserve energy and benefit the environment. • Sustainability: The roofing system also requires minimal maintenance, has a low life-cycle cost, and is naturally resistant to aging. • Snowfall: A major problem with the original roof stemmed from snowfall blowing into open air inlets. DAI thought outside the box to generate a solution that prevents the snowfall from entering specific unwanted areas on and around the roof. • Structural Support: DAI had to make sure the roof design, including roof units, could be supported by the 50+ year old building. DAI designed and oversaw construction of a highly cost effective, sustainable, and ecofriendly roof to the Wayne State physics building. DAI’s roof selection will provide yearly savings in maintenance and heat as well as outlasting traditional roof designs. 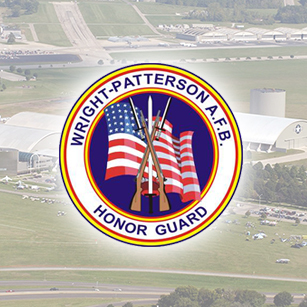 The Wright-Patterson Air Force Base (AFB) is the largest, most diverse, and structurally complex base in the United States Air Force. The origins of the base date back nearly 100 years. • Control: Design of the room allows the client to have incredibly accurate control over the environment. • Cleanliness: Federally defined high-quality standards were met to ensure the room was, and will remain, “clean” for scientific research. • Service: Original designs, installed before DAI was hired, did not function properly. DAI was committed to excellent service and thus produced a functioning design that would last for years to come. • Savings: Despite initial cost estimations of $4 million, DAI saved the client an incredible amount with final costs coming in at less than $3 million. • Room Control: DAI designed the room to allow highly precise controls over the room’s environment. • Budgetary Constraints: The federally determined budget was initially $4 million and could not be stretched any further. DAI not only stayed within budget, but accomplished the work with $1 million of the budget untouched. • Unique Designs: DAI’s outside the box approach yielded many unique mechanical designs that created the immense clean room control. • New Designs: Several new designs had to be created to correct the older system, a system that never functioned properly in the 1,200 ft2 complex. DAI designed a clean room to meet stringent federal requirements with unique design challenges. In doing so DAI saved the client over $1 million; from projected budget to final cost that was more than 25% savings. 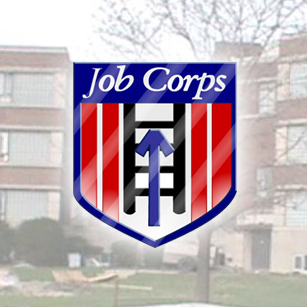 The Detroit Job Corps is a regional division of the Job Corps program run by the United States Department of Labor. The program has existed since 1964 and offers young adults the ability to obtain vocational and life skills at no cost. • Savings: Analysis performed to reduce renovation and addition costs to save the client $100,000 off the original estimate. • Safety: Monitored and surveyed the site to ensure harmful materials including asbestos and PCB containing materials were removed. • Upgrades: Improved quality of the infrastructure and interior through design and construction upgrades. • Functionality: Designed highly functional layout, making the building’s previous arrangement virtually unimaginable. • Immense Changes: Converting a hospital into a Job Corps meant drastic changes for the design and architectural teams to creatively develop. • Structural Environment: The building was over 50 years old at the time of renovation. DAI had to think outside the box to merge the needs of the Jobs Corps with the structural environment of the former hospital. • Budgetary Constraints: Project costs could not go over budget and the teams worked together to produce budgetary savings. • Innovative Designs: The design teams created original visions to breathe new life into the elderly structure. DAI combined architectural and engineering resources to complete the project on time and save the client $100,000 off the originally projected budget. 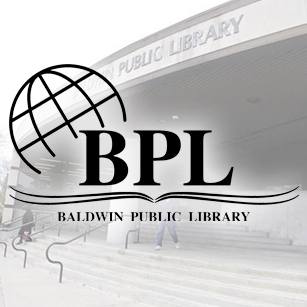 The Baldwin Library offers a wide array of community services in addition to boasting an impressive catalog of books, music, movies, magazines, and newspapers. These services make the library a vital part of the Birmingham community. • Savings: Annual energy savings potentially greater than 15%. • Comfort: Improved guest and employee comfort through monitoring and controlling of the HVAC system from one central location. The system kept visitors and staffers comfortable even during the 2013-2014 winter, which was the worst winter on record for metro Detroit. • Control: Precise and accurate control over the building’s climate. • Safety: Newly installed pumps offer improved protection from outdoor climate factors, such as freezing. • Accessibility: New controls connect to the city’s wide area network improving access for maintenance and troubleshooting. • Structural Environment: The 80 year old building was not constructed for modern HVAC technology. Design and installation overcame an abundance of structural obstacles. • Visual Appearance: The design team masterfully blended the modern technology with the beautiful aesthetics to preserve the overall integrity of the building. • Budgetary Constraints: DAI stayed within budget and did not issue any change orders. • Work Environment: DAI ensured daily processes went uninterrupted and worked quietly to make certain visitors in the 37,000 sq.ft. library were not disturbed. DAI surpassed client expectations by providing superb service, creating annual energy savings, and successfully completing the entire project in only three months. By designing and installing this system the library now offers an enhanced, comfortable environment for visitors and employees to enjoy. The DMC: Rehabilitation Institute of Michigan is among the nation’s top providers for bodily medicine and rehabilitation services. The rehabilitation institute has been helping people for over 60 years. • Indoor Track: To comfortably accommodate patients in their rehabilitation process, DAI designed an outpatient therapy facility, complete with an indoor running track. • Efficiency Improvement: DAI replaced the secondary pumping system and the induction heating system with a primary chilled water system and variable air boxes. Replacing these systems improved the efficiency of the overall cooling load efficiency. • Aesthetics: DAI improved the facilities aesthetics by designing a brand-new canopy and front entrance. • Expansion: During the course of the project space was made on the north and south ends of the building to accommodate 94 new beds. • Coordination: Managing a project of this scale required DAI to constantly be ahead of the curve through effective communication and project planning. DAI’s experienced staff excelled in this area, allowing the project to be completed in a timely and efficient manner. • Creative Design: DAI’s design team worked together to generate creative solutions that merged the additions with the existing building without losing the integrity of the original structure. 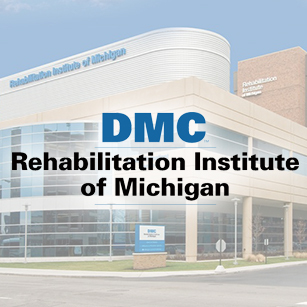 In addition to performing project management services and designing multiple additions and renovations, DAI was able to implement annual operating and maintenance savings of $145,000 for DMC’s Rehabilitation Institute of Michigan. The medical center has been serving the Indianapolis area for over 80 years. The center actively seeks to incorporate the use of modern technology to provide the best possible care for its patients. • Clean Air: DAI provided an advanced ultraviolet cleansing system to effectively neutralize contaminants that would normally circulate through the air system. By using this technology, DAI eliminates the spread of germs through the AC system. • Comfort: Renovation included an all new air handling unit to better condition and circulate air going through the HVAC system. By providing an upgraded system, DAI provided the hospital with a more comfortable and breathable atmosphere. • Healthier Air Circulation: A high-efficiency particulate air (HEPA) filtration system assures that at least 99.97% of micrometer bacteria are eliminated by the initial air filtration system alone. • Improved Standards: Renovation designs incorporated the most recent CDC isolation standards to provide a more controlled, safer environment for doctors and patients alike. • Specialized HVAC: A negative pressure HVAC system was designed to isolate and control the hospital environment. Using this design forces airborne contaminants to stay in a controlled environment as opposed to being allowed to spread freely throughout the hospital. • Historical Preservation: DAI made special care to ensure the hospital maintained historical integrity during the renovation process. DAI maintained the historical condition of the 36,000 ft2 area while providing upgraded systems with new technology to prevent the possible spread of tuberculosis and create a safer, healthier environment. 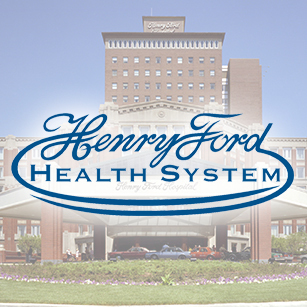 The Henry Ford Health System was founded by automotive innovator Henry Ford in 1915 and has become one of the top health care providers in the United States. The system staffs over 23,000 employees and generates more than $1.7 billion annually. • Safety: By upgrading the weakening elevators the hospital was assured that the load bearing capacity of each elevator was accurate and safe for staff, visitors, and patients alike. • Modernization: Upgrades to the electrical and mechanical systems of the elevators were compliant with modern elevator codes to provide reassurance of the safety of the elevators and a better overall experience on the frequently used elevators. • Life-Saving Technology: DAI improved the electrical system by switching outlets to ground fault circuit interrupter outlets which protect against electrical shock and has proven to save lives. Providing upgrades to a historically significant building can be a test of problem solving due to the marriage of new technology inside a historical building. • Uninterrupted Daily Operations: Due to the nature of the hospital environment, DAI made sure the upgrades did not interrupt daily procedures for the patients, visitors, and hospital staff. • Historical Preservation: The historical building, which dates back to a time when the First World War was underway, required special care to ensure the look and feel of the building would not be compromised by the additions of new technology. 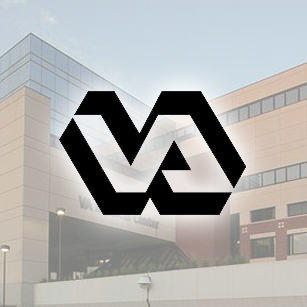 DAI drastically improved the hospitals safety while preserving its historical aesthetics. Henry Ford Hospital was able to proceed with daily practices smoothly due to DAI’s focus on awareness and general attention to detail during the multiple upgrade services being performed. 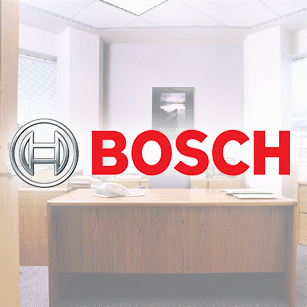 Bosch is a multi-billion dollar company with roots dating back over 125 years. 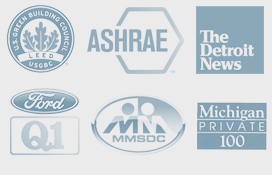 The worldwide corporation is a global leader in providing automotive technology, industrial technology, energy technology, building technology, and consumer goods. • Savings: The system initially provided Robert Bosch Corp over $5 million in savings. Currently the systems provides $2 million annually maintenance and operations savings. • Efficiency: The highly efficient system has won the prestigious ASHRAE award for its innovative, cost-reducing design. • Eco-friendly: The design of the system allows for the safe reuse of water in the HVAC system and during landscaping which is Eco-Friendly and provides Bosch with annual savings in maintenance. • Considerable Size: The campus covers approximately 800,000 sq.ft. and the complex pond system comfortably provides HVAC for the entire facility. • Free HVAC: Creating the groundbreaking free-HVAC design with DAI’s in-house skills and resources highlights the knowledge of the expert design team. • Space Saving: The pond system replaced the normal HVAC equipment which usually occupies space on and around the building. The pond system instead provides Bosch with a visually appealing exterior. • Fail Safe: To ensure the system would be sustainable, DAI incorporated a fail-safe design that prevents possible failures such as ensuring the pond will never freeze, even during the coldest of winters. Through commitment to value engineering practices, DAI created a highly complex HVAC system which continues to save the customer millions of dollars annually. The impeccably high standards at DAI far surpassed customer expectation and provided tens of millions in energy savings since initial installation. “We do not expect to get only what we think we need, but what we truly need. American Axle Manufacturing is a Tier-One automotive supplier with origins dating back to the early 20th century. 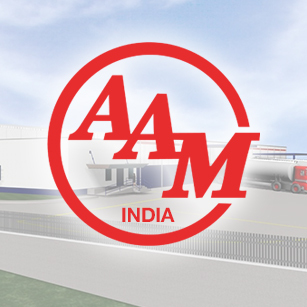 Today AAM operates in 13 countries and regularly produces billions of dollars in annual sales. • Air Systems: Due to the versatility of needs at the complex, DAI designed and built multiple rooms complete with their own high-quality air systems. • 3D Rendering: To give American Axle a greater understanding of the design concept, DAI created an accurate, detailed 3-Dimensional rendering of the facility. • Value Engineering: DAI used value engineering processes to provide additional cost savings. • Precision Control Rooms: DAI designed Metrology and CCM rooms with separate air systems. These testing enclosures are highly sophisticated and require extremely precise atmosphere control. • Specialized Storage: Special storage areas were designed to accommodate potentially dangerous materials such as liquefied natural gas, methanol, and liquid nitrogen. • IT Room: IT equipment requires dedicated storing due to its propensity to overheat. AAM required a separate Information technology room complete with a separate air system. DAI designed and built AAM’s 85,000 sq.ft. complex in one of India’s hottest climate zones. Despite the high heat, AAM’s facility is able to keep employees cool due to advanced design accommodations aimed at keeping the indoor atmosphere comfortable. 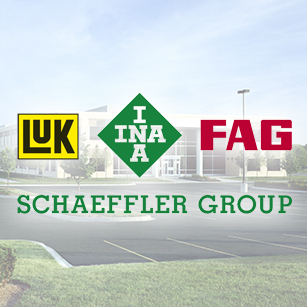 Schaeffler Group is a leading worldwide developer and manufacturer of highly accurate products for all things that move. Schaeffler group is currently one of the largest family owned German and European industrial companies with close to 80,000 employees worldwide. • Noise Reduction: In one area on the first floor DAI specially designed an enclosed area to house six incredibly loud testing machines. To create a more comfortable work environment, DAI incorporated special noise reduction materials to isolate the racket. • Familiarization: Before DAI transferred Schaeffler’s testing machines of varying type, DAI spent time learning about each of the 25 machines to maximize the productivity when relocating to the new facility. • Equipment Layouts: To ensure room layout designs would maximize productivity, DAI carefully examined each piece of equipment and the relationships of each of the machines to each other. • Testing Room: DAI designed a special testing room to accommodate extremely diverse testing conditions with simulations including high heat, frigid cold, and dust filled atmospheres. • Corrosion Room: To combat the fumes in the corrosion room, DAI developed a custom exhaust unit made specifically for the safe removal of harmful toxicants. • Unique Voltage: To compensate for the power requirements of the machinery, DAI created a 600V power distribution. DAI implemented additional safety measures to warn employees of the dangerously unusual voltage. Doshi Associates provided Schaeffler with a comprehensive testing facility and ensured all machinery was carefully relocated and situated in a manner that optimizes efficient operation.